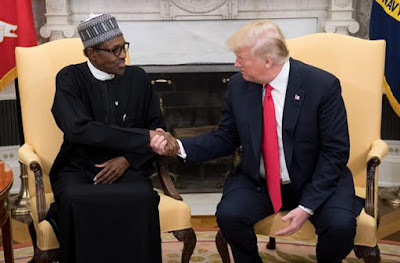 The Christian Association of Nigeria, civil rights groups and the pan-Yoruba socio-political group, Afenifere, have said the comment of the United States President, Mr. Donald Trump, on the killings in Nigeria was a wake-up call to President Muhammadu Buhari. Trump, before a closed-door meeting with Buhari on Monday, described the killing of Christians in Nigeria as a serious problem. CAN, in its reaction, said Trump hit the nail on its head when he informed Buhari that Christians were being killed in Nigeria, noting that the American leader told the Nigerian government the right thing. The spokesman for CAN President, Pastor Bayo Oladeji, said the President should address the killings in the country. He stated, “We are happy that President Trump has told President Buhari the right thing to do. We hope and believe President Buhari would do the right thing and sit up. He has to sit up. “Every time we tell them Christians are being killed, they don’t want to listen, but that is the truth. If the President cannot protect Christians, we have two options, we fight back. The law of the land permits self-defence. Secondly, come 2019, we vote him out. If he says there is nothing Christians can do, let him dare us,” Oladeji stressed. According to Punch, two civil society organisations, the Committee for the Defence of Human Rights and the Centre for Anti-Corruption and Open Leadership, said Buhari needed not to be told by external powers such as America before the killings in parts of Nigeria were tackled and curbed. The CDHR President, Malachy Ugwummadu, said, “The admonition by Trump to stop the killings is a reaffirmation of the constitutional obligation of the government, but we needn’t hear it from external powers. Also the CACOL Director, Debo Adeniran, said the US could assist in ending the killings and violence in the Middle Belt region through the provision of attack helicopters and other sophisticated weapons to Nigeria. He said, “The present administration must make the most of that visit to the United States. One, the US has signified its desire to offer weaponised helicopters to us. That means that we have more replenished arsenals to deal with all the internal aggressions facing us. Yoruba socio-cultural group, Afenifere, described Trump’s advice to Buhari as good admonition, noting however that it was not only Christians that were being killed. “He should not have gone to the international stage and say Fulani herdsmen don’t carry AK 47; that destroyed everything for the President. This is why Afenifere said he should make a choice between the Presidency and being the patron of Miyetti Allah. He spoke in America in defence of Fulani herdsmen as their patron, not as the President of Nigeria and that is conflict of interest,” Odumakin said.